Though tentative at first, brother and sister Taichi (3, at left) and Shino (5) warm up to the robot ASIMO (Advanced Step in Innovative Mobility) and agree to stand close enough to get a good look at the small stature robot after a performance at Suzuka City, Japan. 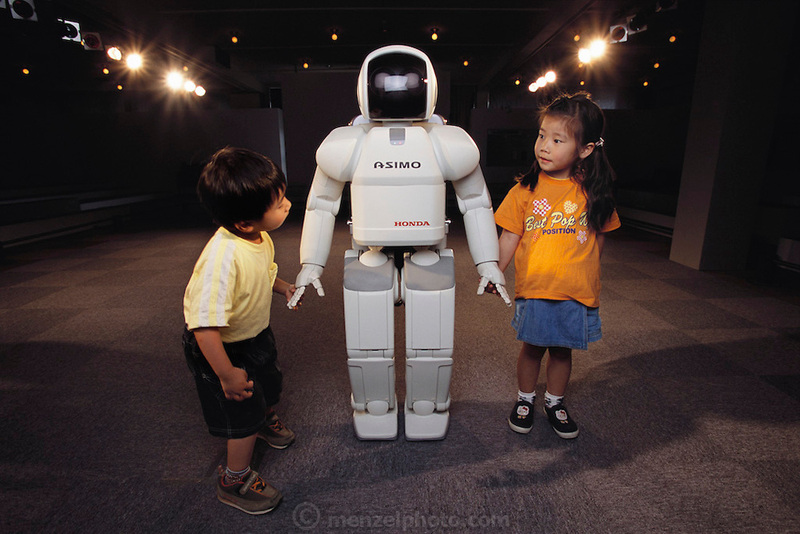 Honda's walking robot, called ASIMO, is child-sized and has more maneuverability than it's predecessor, the Honda P3. Pictured here at Suzuka City, Japan, amusement complex..